Baby it's cold outside! | Jean Roberts, author of "A Kiss Behind the Castanets"
Jean Roberts, author of "A Kiss Behind the Castanets"
Click here or on the title and then scroll down to view comments shown at the bottom of the page or leave a reply at the bottom of this post. outside sometimes all you need to bring back the sunshine are good friends, good food, and a few good laughs. 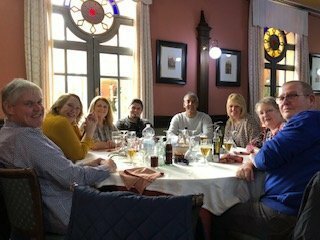 Lunch yesterday in our favourite local restaurant with our favourite local people. We are back in Spain and to say it’s a bit nippy is an understatement but the sun is bright and we manage to find a few warm corners. The journey here was a bit of a nightmare. Just out of Santander we picked up rain, then sleet, and then snow. At one point it was a total whiteout and we followed the snowplough for about half an hour. I have to say, it’s impressive the way Spain deals with bad weather. Snowploughs line the motorways and are out clearing the roads at the first sign of a snowflake. The traffic keeps moving. We just take it easy and occasionally even a Spanish driver slows down. 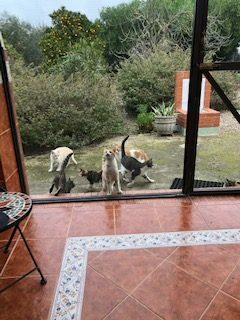 Because of the weather we didn’t arrive until 3am but as we opened the big gates and pulled into the drive the cats came running towards us clearly excited that the feeding station was about to be open for business again. I’m completely convinced that cats have a 6th sense. 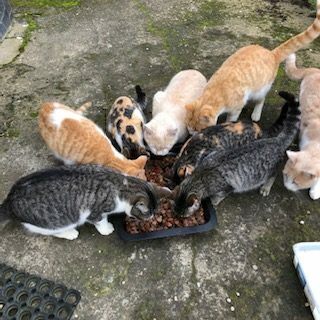 We look after a bunch of strays while we are here but we’ve been away a couple of months and expected them to have forgotten us and disappeared however as we stepped out of the car we were surrounded by a clowder of kitties and had to manoeuvre an obstacle course to get into the house! Don’t they know they were meant to be asleep? We could barely keep our eyes open. In the morning there was no chance of a lay in as we were woken by mewing, meowing, and howling as they called for their breakfast. It’s good to be back. Mother nature has been kind while we’ve been away. All the moggies are plump and healthy as are the oranges and lemons on our trees. 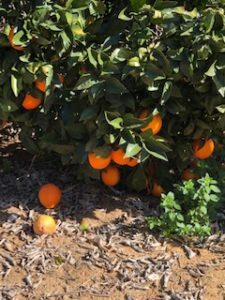 The fruits are sweet and so full of juice that their weight is bending the branches of the trees until they touch the ground. 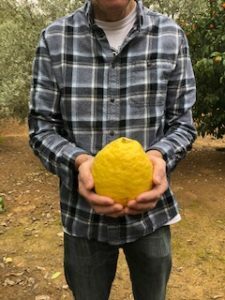 We have lemons as big as footballs, more O.J. than you could shake a stick at, and the olives are fat and ripe for the picking. It’s going to be a good harvest. A few G&Ts in there, or how about a Bucks Fizz anyone? Loving all your blog posts Jean. They make me long to go to Spain again. I’m envious – I definitely need a good dose of sunshine! They feed themselves Jacky. We worry about feeding them too much so only feed them in the morning. If they don’t catch mice and rats the locals shoot them so we make sure they still need to hunt. They are fit and sleek and strong so look after themselves pretty well. We just give them one easy meal a day. I love all the fruit. Who feeds the cats when you’re away? Wow you get about Jean don’t you.